A moon based geometric design made in Clip Studio. I'm a college freshman looking to share my passion with the world. 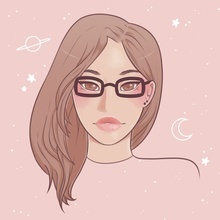 I'm a cat mom, bisexual female, laptop sticker enthusiast, and semi-realism artist from Upstate NY.